I know cocktails are usually a Friday feature over here, but sometimes it seems necessary - no - essential on a Monday. With the World Cup being on the television every evening, it's easy to dapple in a bit of school-night drinking, and I don't know about you, but I feel I need consoling after seeing the abundance of pictures of people JETTING off to sunnier climates. Ok, I know we've had amazing weather over the past few weeks, but all those beach snaps and blue SKIES on instagram are making me green with envy. 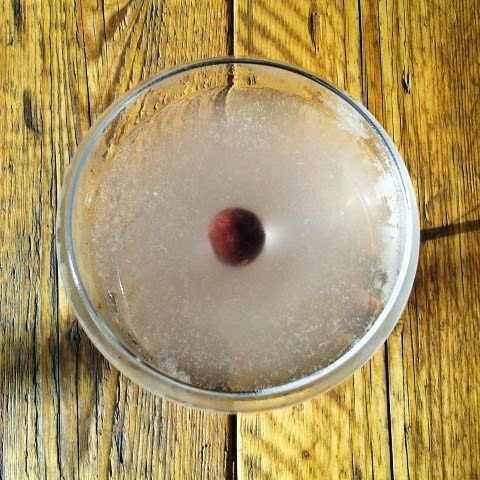 Now I'd quite like to start the week with FLYING colours, so here we have it, The Aviation. The Aviation cocktail is a classic drink made with gin, maraschino liqueur, crème de violette, and lemon juice. Some recipes, including the one listed in The Savoy Cocktail Book, omit the crème de violette, whilst others shake it with an added egg white to give it a much creamier texture. Personally, I like it best served straight up with a cherry. I can remember the exact moment when I first tried an Aviation, and shamefully it wasn't that long ago. I was visiting a friend in Plymouth, and she'd taken me for an afternoon cocktail at The Refectory Bar within Plymouth Gin Distillery. You can't really go wrong with their gin, it's a big brand but I'd probably put it up there as being one of the best, more easily affordable spirits. Anyway, with a strong list of all time favourites, and a few in house specialities, I plumped for an Aviation. 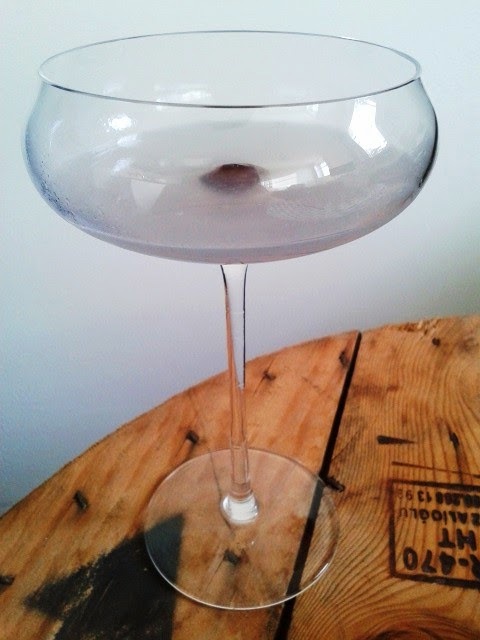 Out it came, in an ice cold martini glass, clear but tinged with lilac; and sat at the bottom was the plumpest, booziest, deep red cherry, begging to be eaten. I took the teeniest sip and instantly I knew I'd picked my perfect drink. Childhood memories of scoffing Parma Violets came flooding back - they were always the last sweets left in bumper packs because no one seemed to like them (crazy if you ask me) - and I was cursing myself for not having tried this sooner. Anyway, if I were to only have one drink, this would definitely be in the running, and for that reason, it's probably quite a good'un for a Monday... Unless, however, you don't like the taste of violet, then maybe just try it without. I used Edmond Briottet Liqueur de Violette in mine, £17.52 from Master of Malt, though I've been eyeing up this beauty from The Bitter Truth, £21.01 also from Master of Malt. I haven't been specific on what gin to use, though I wouldn't choose anything too heavily spiced or peppery; Hendrick's and Bloom (currently on offer at £20 in Sainsbury's and Waitrose) would work well as they are both pretty floral in themselves, but you can just go with what you've got. 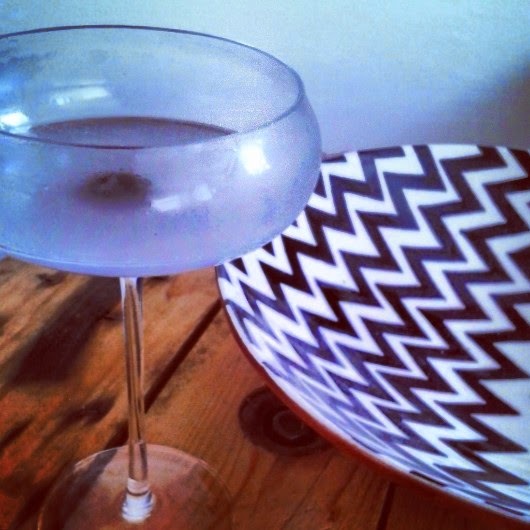 Place your martini glass (or whatever you've got) in the freezer. Put ice into your cocktail shaker and add the gin, maraschino, lemon juice and crème de violette. Shake well, then remove your glass from the freezer. Strain the drink into the glass, pop a maraschino cherry in, and enjoy. If, like me, you fancy celebrating the end of your first day at work for the week, treat yourself to a Monday cocktail, because - in a Loreal style -"you're worth it." P.S. If you do go and buy some crème de violette, try it in a glass of champagne; it's amazing.